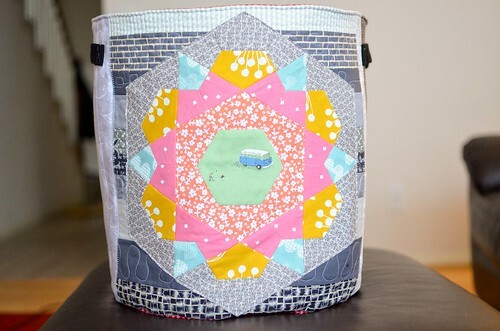 I had originally planned on turning my EPP rose star project into a mini quilt, but then I realized that it would be a great size to use in combination with this tutorial. 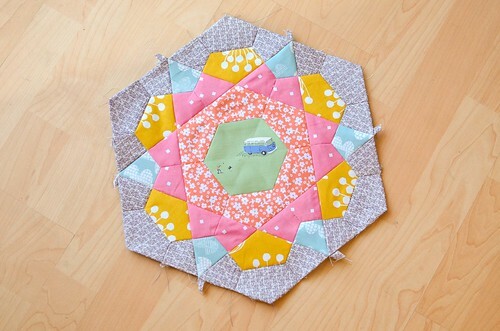 Since I used a 2" hexagon in the center, my rose star was a little under 14" so it made a GIANT basket. I keep my fabric upstairs in my closet and I sew downstairs in my dining room, so this is going to be perfect for ferrying fabric back and forth. 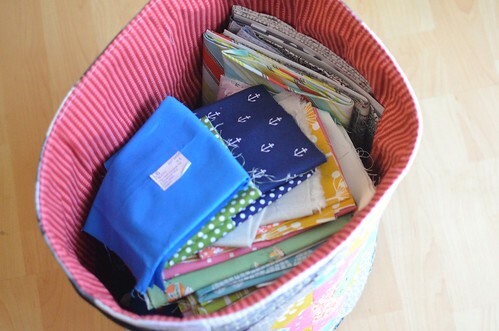 The tutorial is pretty easy and it resulted in a very useful basket. I definitely think I will be making more of these in the future (although probably smaller). This one is about 15" tall and 15" in diameter. I wanted to make sure it would stand up okay on it's own, so I used Thermolam on the exterior and Pellon 808 on the lining fabric. It is a little floppy when empty, but when it has fabric inside it stands up nicely on its own. 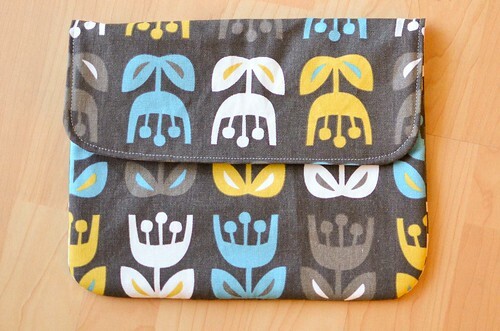 I also made another iPad case using this pattern. It is headed to my sister's house since she is buying our iPad 2 off of us. I figured I would throw this in the package since my 2 year old colored on its previous case last week. lovely, your basket as well as an ipad case look so pretty! !